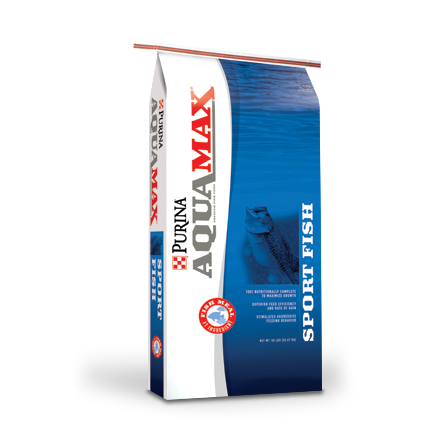 Purina® AquaMax® Sport Fish Largemouth is 100% nutritionally complete and was developed by professional nutritionists and fish experts. Formulated as an easily-digestible, high-energy, nutrient-dense diet with excellent conversion rates, Sport Fish Largemouth has high feed efficiency and rate of gain and is designed to stimulate aggressive feeding behavior. AquaMax® Sport Fish Largemouth is a floating product in a in a 3/4″ x 1″ extruded pellet.